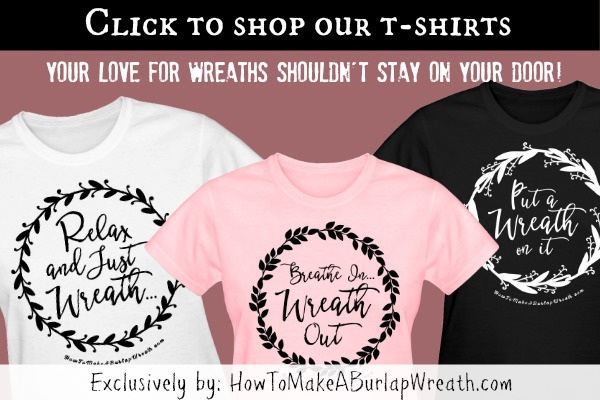 Muslin is a wonderful and versatile material when you are thinking of making wreaths because it not only has great texture but also is tolerant to sunlight. 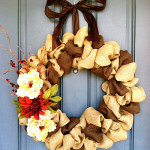 You can use those wreaths for decorating both your interiors and exterior home to greet guests this season. 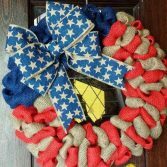 This rag wreath is durable and its swatches look like petals and can withstand the changing temperatures better than some other wreaths. 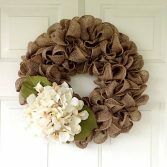 Try to buy unbleached muslin yards because the more natural the muslin the better the wreaths will be. Wash and dry the muslin yards. It will give the fabric a nice, wrinkly texture. Cut the muslin clothes with the fabric scissors into long strips with approximately 2-inch width. You can also rip off the strips to give the edges a worn out look. Cut the strips into pieces of 7-inch sections or of your desired length. 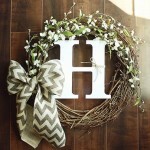 You can cut them into 2-3 different lengths to give the wreath a layered look. 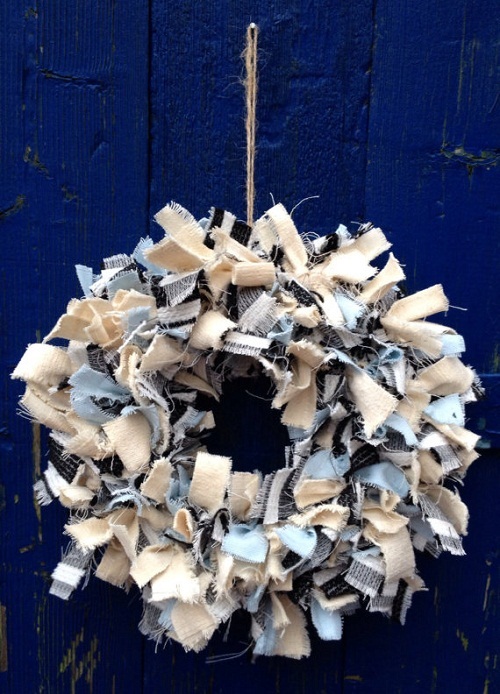 Don’t worry if the pieces are exactly not the sizes you want because it is a shabby chic rag wreath after all! Now, start tying the pieces around the form. Tie down two strips around two wires of the form at a time. Finish the outer two wires at first, then the center two, and finally the inner two. Otherwise, you can tie the strips by alternating among the wires. In both cases, the wreath will look nice and full. 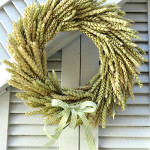 Now, add a burlap or silk ribbon bow. Make a cotton tie from two leftover muslin pieces for hanging. Using 2-3 types of muslin of different colors and patterns will really create a nice look. If you use just one color, spice up the look by adding 2-3 fabric flowers or monograms or both. 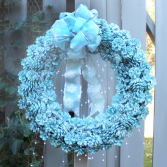 Choose small wire wreath forms if you want to use the wreaths for your interior decoration. Small-sized wreaths can be unique décor items to adorn your mantel, living room walls, or the backside of your kitchen chairs. 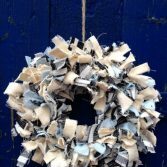 The wreath will have a shabby texture because of the fabric frays. The look will go well with any rustic, vintage, and country chic styles. Making a muslin rag wreath is fun because it requires few ingredients and is easier and less messy to work with. 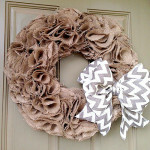 For more fabric wreath tutorials click here.